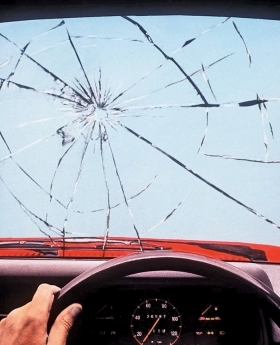 Windshield repair and replacement: An alternative to costly -- and uninsured -- replacement. LAS VEGAS -- The days of peddling "rust and dust" are gone. Finance and insurance managers must sell products that offer a substantial benefit to customers, and they need to present the products honestly and clearly to earn trust. "The consumer is different. We have to become more accommodating and transparent," said Forrest Heathcott, president of the F&I provider JM&A Group, of Deerfield Beach, Fla. Heathcott spoke here last month at the F&I Management & Technology Conference and Expo. 1 Windshield protection. Dealers are selling windshield repair and replacement coverage. Windshields frequently chip and crack and replacement is costly, so customers see it as a substantial benefit. 2 Bundled products. Some products sell better when they're bundled with other products and offered as a packaged deal. "The customer might not like tire-and-wheel, but they like dent-and-windshield repair," said Glenn Nielsen, vice president of sales for Innovative Aftermarket Systems in Austin, Texas. 3 One-year freebies. Dealers are giving away one year of free coverage on a product the customer chooses, such as paintless dent repair or fabric protection. 4 Zero percent aftermarket financing. Universal Lenders, of Schiller Park, Ill., offers no-interest financing on F&I aftermarket products. Dealers are selling more service plans after the purchase, and this financing makes the sale easier. 5 Credit repair. Credit Forget It, of New York, packages credit repair services with identity-theft protection contracts. The credit repair service is free to retail customers, and the identity-theft protection is a paid upgrade. The credit repair can boost customers' credit ratings and help them get financed on better terms. 6 Shortening the trading cycle. AutoAlert Inc., of Laguna Woods, Calif., offers software that helps dealers identify customers with equity in their vehicles. The software also allows dealers to work up some attractive lease or finance terms for these prospects to lure them out of their lease or finance contract early. 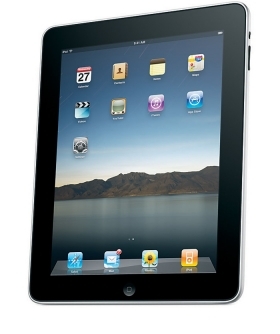 The iPad makes it easier to display F&I product menus on the go and walk customers through the transaction. 7 Selling with iPads. The light, portable screens are used to display product menus and walk customers through the transaction. "It streamlines the process," said Ken Tomaro, president of OptionSoft Technologies, of Ballston Spa, N.Y.
8Touch-screen electronic menus. Today's customer wants to be in control, and a touch screen lets them browse an electronic menu of products easily. AutoNation Inc., the nation's largest auto retailer, uses touch-screen technology in its F&I offices. 9 Fixed-price menus. Many dealerships post prices on their product menus, but that's typically a maximum price. Customers often negotiate lower prices. Some big auto retailers such as AutoNation and Sonic Automotive are evaluating their menu prices to make sure they're competitive, then moving to nonnegotiable prices. 10Reaching out with apps. F&I Administration Solutions, of Lombard, Ill., offers a mobile application that allows customers to use their smart phones to easily view their contracts and coverage for F&I products. People don't answer their phone or read their mail, but most will pick up their text messages, said John Leaver, general manager of MobiDrives, another app supplier to dealers and service contract administrators.